Bryan Cahall is a storyteller, poet, and singer-songwriter based in Providence, RI. Tim and Bryan collaborate to offer powerful events weaving together speaking, music and song. Tim has often said, "We will be a movement when we sing like a movement.” Bryan's music helps reminds us that we are part of something much bigger than ourselves. For events inquiries featuring Tim DeChristopher and Bryan Cahall, please contact us here. We can also connect you with Bryan if you'd like to discuss a booking a solo event or other appearance. There is a rich tradition of singing poets who've seen themselves foremost as witnesses and keepers of cultural memory and who've shared their gifts of expression to inspire, to console, to remind, and to widen their circle of sympathetic fellows. With debts to Southern blues and gospel, Irish balladry, the winking pathos of the Dust Bowl-era songsters, and the folk revival of the 1960's, Bryan's songs are distinctly American. You may preview and purchase A Gate City Songbag by Bryan Cahall via CDBaby and iTunes. The following playlist features videos of Bryan Cahall on the Tim DeChristopher Youtube Channel. 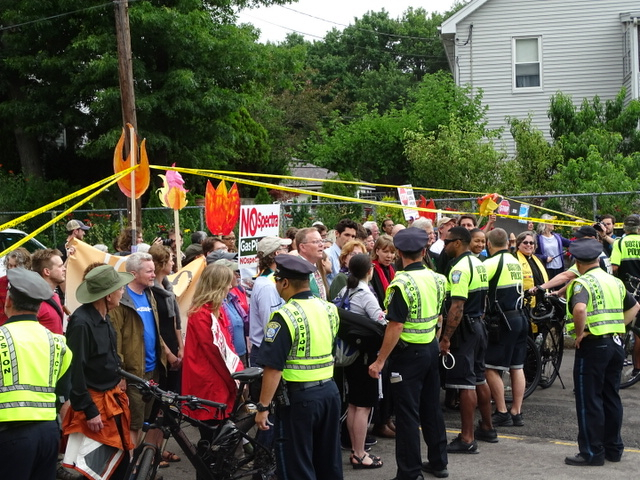 The video above features Tim DeChristopher's words from today's #StopSpectra action in West Roxbury, MA. 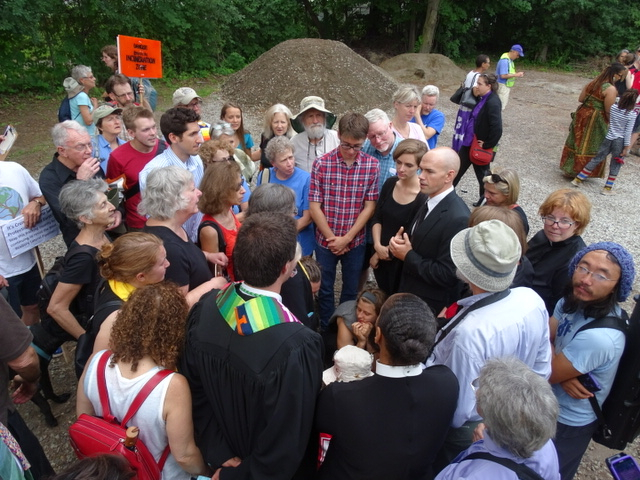 Tim, area clergy and others took action to focus attention on the fact that Spectra's new MASS fracked gas pipelines will lead to MASS graves abroad due to climate change and rising temperatures. This afternoon Tim and others climbed into Spectra's trenches and were later arrested. 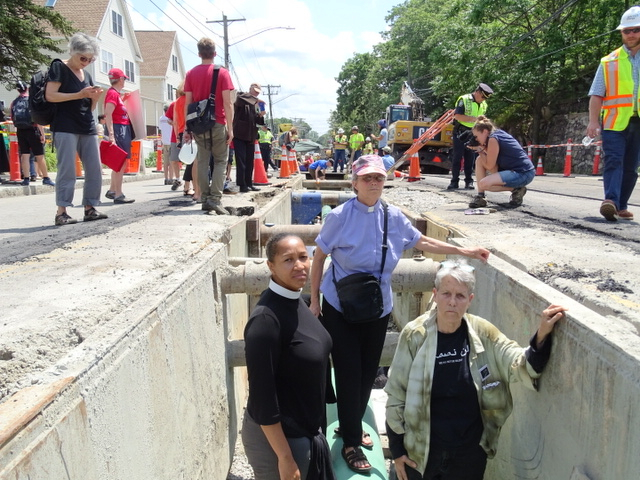 See Resist the West Roxbury Pipeline for details. We'll be sharing more on this action once Tim is released. 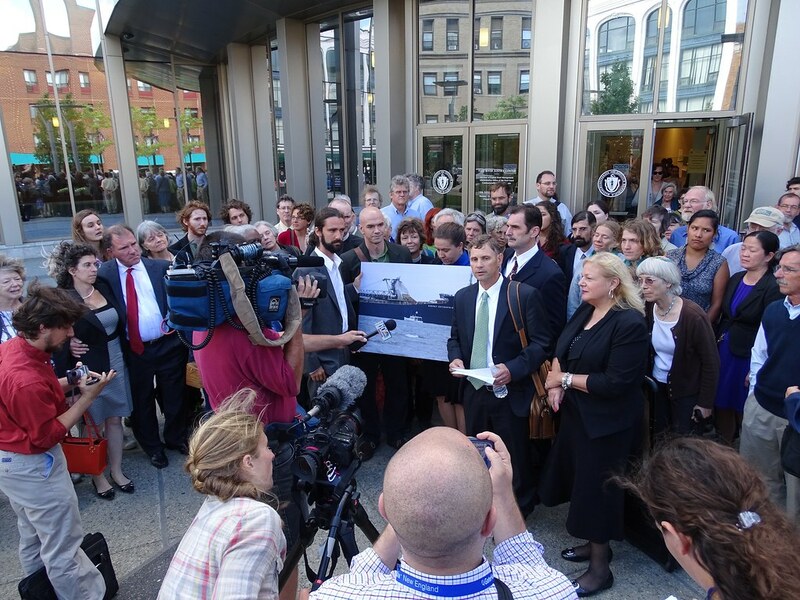 "This is not just a pipeline trench. What they are digging is a mass grave, because in this age of anticipatory mass graves, we know that every new fossil fuel development that commits us to burning fossil fuels for decades, when we put in this infrastructure, we know that every new fossil fuel infrastructure will lead to another mass grave somewhere in the world." 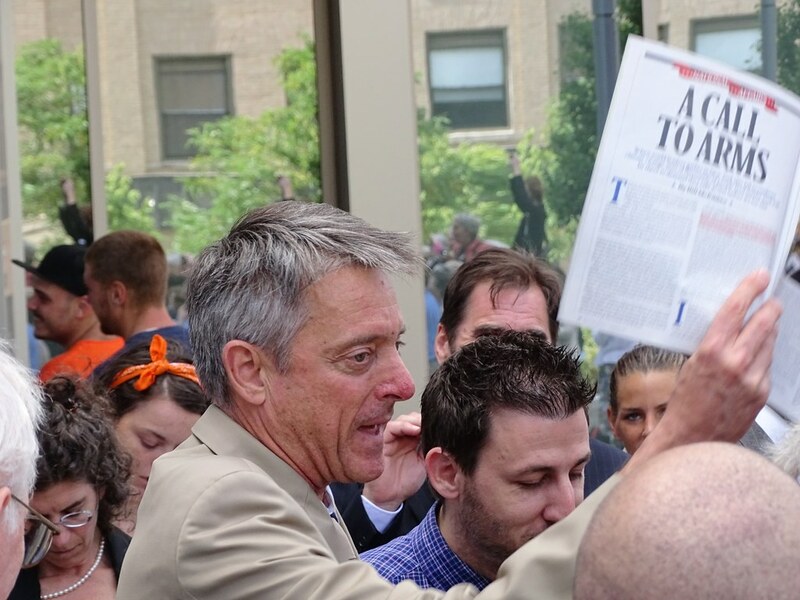 This is DeChristopher's first act of civil disobedience resulting in arrest following his notable "Bidder 70" action, arrest, nearly 2 year imprisonment, and 3 years of probation which ended this Spring. Video above by Kori Feener. Thanks for capturing the action! Full resolution photos for media use here. Full resolution photos for media use here. Slideshow below. The audio from Climate One's event "Fighting Fossil Fuels All the Way to Prison" featuring Tim DeChristopher, Georgia Hirsty and Brendon Steele is now available. How far would you go to get the message out about climate change? Recently at The Commonwealth Club, Climate One founder Greg Dalton was joined by two guests who put the “active” in “activist,” and a third guest who thinks perhaps you can be more effective with different tactics. Last summer, Greenpeace’s Georgia Hirsty and twelve other activists suspended themselves off of a Portland bridge on ropes for over 24 hours to protest an oil rig bound for the Arctic. As the ship steamed towards them, Hirsty hailed it by radio, ordering it to stop. There were long moments of tension as the activists waited to see what the captain would do. They ultimately managed to delay the ship for over 40 hours, and create a lot of media attention. 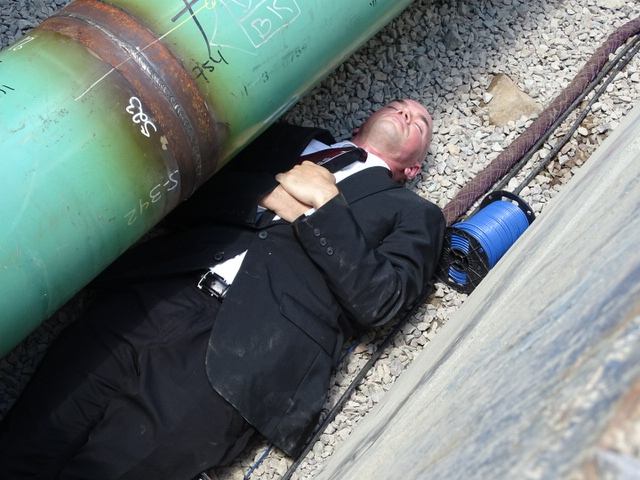 Tim DeChristopher, also known as bidder 70, ended up serving 21 months in jail for his act of civil disobedience when he outbid oil companies for oil and gas leases on parcels of land around Arches and Canyonlands National Parks… of course without intention to pay. His story not only made headlines, but has been made into a movie, also titled Bidder 70. And the oil is still in the ground to this day. Activism as an extreme sport gets headlines, and in some cases, results. But wouldn’t it be more effective to try to change things from within? Greg’s third guest, Brendon Steele, thinks so. He believes working collaboratively on the inside of companies is a better way to influence their behavior than confrontation and villainization. His non-profit, Future 500, works closely with energy corporations to encourage more sustainable business practices, through shareholder engagement and other methods. The following are upcoming events where Tim is speaking, leading workshops or will be in attendance. Climate Solutions: Meeting the Challenge Speaker Series is co-sponsored by First Parish in Concord, ConcordCAN!, the Concord-Carlisle League of Women Voters, Mothers Out Front, Musketaquid Arts and Environment, Trinitarian congregational Church, Trinity Episcopal Church, and the West Concord Union Church. See Tim's Youtube channel for playlists of interviews and talks. Bryan Cahall and I will be heading to New Orleans for a major climate movement convergence August 20-24th. There will be several protests against a major auction of 24 million acres of public lands for offshore oil drilling. Since Obama has clearly named the Gulf Coast as a national sacrifice zone for fossil fuels, the area is becoming one of the most important frontlines in the struggle for climate justice. Since I haven’t spent much time there, I’ll be spending that week in New Orleans primarily to get to know the local community of resistance and develop a better understanding of their struggle. Theme: "Sustainability + Faith : A New Way of Living"
Green Screens Presented by Rock The Earth: "How To Let Go of the World and Love All the Things Climate Can't Change" - Q&A with producer Deia Schlosberg and subject/activist Tim DeChristopher. May 12th - 18th Tim will be joining Josh Fox and team for the West Coast tour of the film How to Let Go of the World and Love All The Things Climate Can't Change. He will also be leading workshops for area activists. See full schedule of LET GO AND LOVE screenings and workshops. To avoid catastrophic climate change , scientists estimate that approximately 80% of proven fossil fuel resources need to stay in the ground. From May 7th -12th, national and regional organizations will be hosting the Keep It In The Ground Action Camp to support action training, leadership development and capacity building for a stronger climate justice movement. Our work together will focus on campaigns and strategies to keep fossil fuels in the ground - ending the leasing of public lands and waters for drilling and mining; stopping proposed fossil fuel infrastructure and development; and the rapid transition of our existing extraction-based economy to one that is sustainable, just, and based on 100% clean renewable energy. Organizations that are a part of the steering committee include: 350.org, Center for Biological Diversity, Greenpeace, Rainforest Action Network, The Ruckus Society, and WildEarth Guardians. Join us at the Carnegie Institution, as we close the 24th Annual Environmental Film Festival in the Nation’s Capital with the Washington, DC premiere of How to Let Go of the World (and Love All the Things Climate Can’t Change). Oscar-nominated filmmaker Josh Fox will receive the Festival’s Documentary Award for Environmental Advocacy. Directed by Josh Fox. Produced by Deia Schlosberg. Edited by Annukka Lilja and Greg King. Discussion with filmmaker Josh Fox and film subjects and activists Tim DeChristopher and Aria Doe will follow screening. Tim will be speaking at the Facing Fear, Confronting Change - Sunday Soul service of the First Unitarian Portland and Church of the Larger Fellowship. You may participate in person or online. Tim supporting premiere of the new Josh Fox documentary How to Let Go of the World (and Love All the Things Climate Can't Change. KBOO radiointerview on the Wednesday Talk Radio program. Tim will be in Seattle supporting the Delta5 Trial. Please join us for an evening with Tim, dinner and fundraiser. All proceeding will go to the Delta5's legal expenses. Tim and the Climate Disobedience Center team will be in the Seattle area supporting the Detla 5 climate trial, see related Climate Disobedience Center posts. Tim Preaching at First Unitarian Church of Providence on prison reform. What We’re Fighting for Now is Each Other: Dispatches from the Front Lines of Climate Justice. 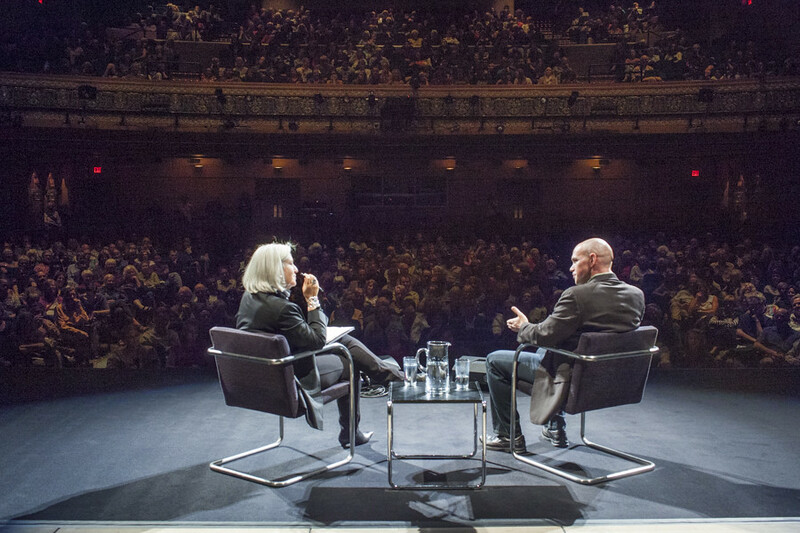 The Rubin presents a conversation between activist Tim DeChristopher and meditation teacher Sharon Salzberg on how far we need to break the rules in order to reverse climate change. Author Wen Stephenson will discuss his book What We're Fighting For Now is Each Other, with activist Tim DeChristopher and Center for Earth Ethics Director Karenna Gore. In What We’re Fighting For Now is Each Other, Stephenson, a former journalist at The Atlantic and The Boston Globe and a contributor to The Nation, embarks on a personal journey to explore the current state of the climate justice movement in the United States, “a movement that’s less like environmentalism as we know it and more like the human rights and social justice struggles of the 19th and 20th centuries.” Books will be available for purchase at this event. 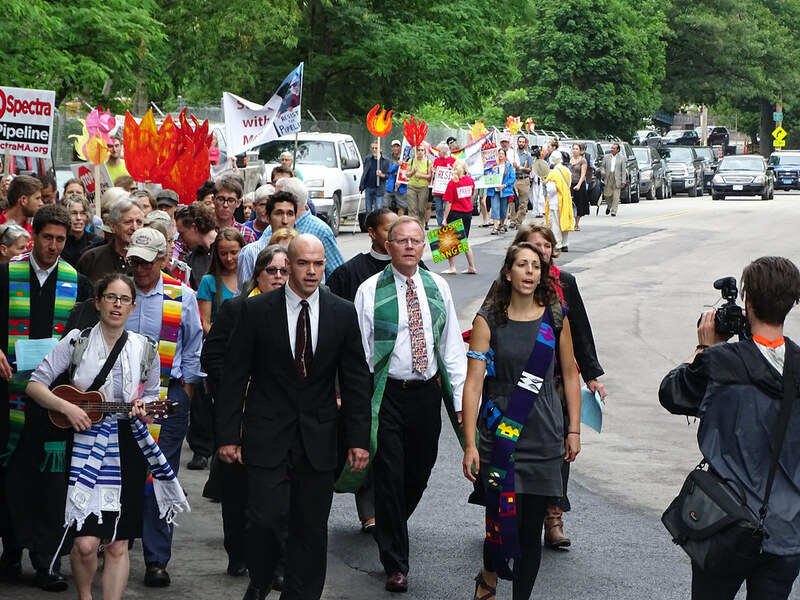 The Interreligious Eco-Justice Network invites you to the 3rd Annual Climate Stewardship Summit on Thursday, November 5 from 8:30 am – 5:30 pm at Congregation Beth Israel, 701 Farmington Avenue, West Hartford, CT. Come hear nationally-known preacher, author, and radio host, Deacon Art Miller, as well as celebrated climate activist Tim DeChristopher, tell their stories. Please join us for a day-long conference as we seek integrated and multi-faith strategies to not only prevent climate change and environmental injustice, but to combat poverty and restore dignity to both people and the planet. Tim will be guest on The Forecast, a monthly show on climate change broadcast and livestreamed on WRFI, the community radio station in Ithaca, NY. In the two years since they've been on the air, The Forecast has had terrific guests -- Professors Mark Jacobson, Tony Ingraffea, Sandra Steingraber, Dahr Jamail, Lindsay Abrams from Salon.com, Phil Aroneaunu from 350.org, and most recently, Jonathan Lunine. Tim DeChristopher preaching on "The Systemic Evil of Prison." Tim will share stories from his time in prison and reflect on their theological significance for our understanding of evil and our work to create a just world. 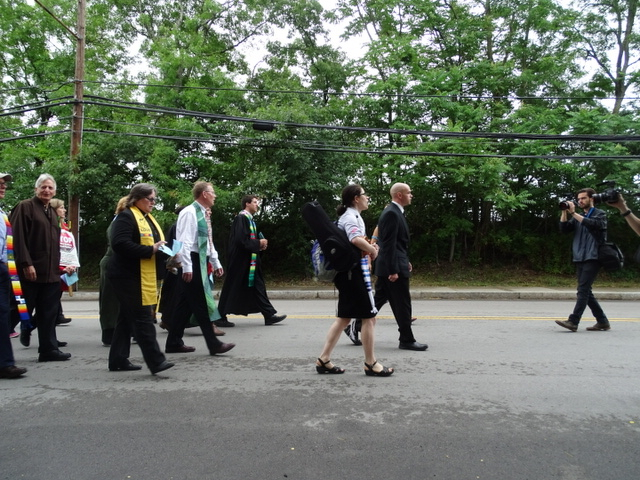 Vermont Interfaith Power and Light will host its Fall Conference at Christ Episcopal Church in Montpelier on Saturday October 17, from 9:30am to 3:30pm. Our keynote speaker will be Harvard Divinity School student/Climate Activist Tim DeChristopher. TV producer, educator, activist work with a growing circle of climate leaders on media and digital strategy.